Dr. Barazani talks about platelet-rich plasma treatments to promote hair growth. Advanced Dermatology doctors discuss the latest tests and treatments for vitiligo and psoriasis. Dr. Whitney Bowe talks about acne in teenagers and good routines to help prevent acne. 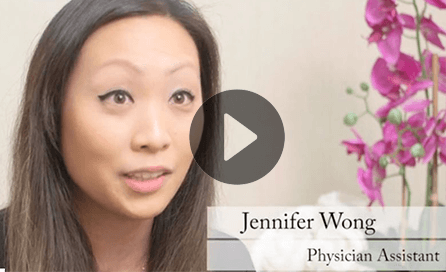 Advanced Dermatology doctors talk about Microneedling, CoolSculpting, and the popular Liquid Facelift. Everyone at the Commack office was very helpful. Melissa Sanoff-Weiner was an amazing help to my teenage daughter! Excellent experience, as usual, with Dr. Fox. Dr. Levine is very caring and helpful. From reception to assistant to attending physician, great door to door service. (Christina Smitley, NP – Central Park West, NY). Dr. Flashner was very helpful and proactive. She was very knowledgeable on a preexisting condition and offered multiple solutions for me. Dr. Joerg is absolutely the best! Dr. Chan is an excellent physician! Everyone is very nice and quick. 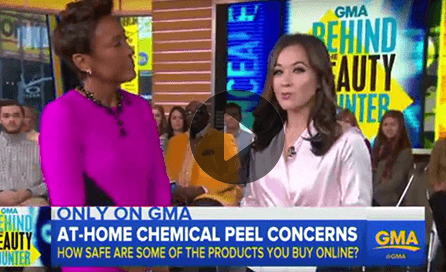 Dr. Zoila Flashner is great, she gets straight to the point, and knows her stuff. She helped me with my condition. Dr. Applebaum diagnosed my problem within seconds upon entering the room. I had a very positive experience. I would highly recommend as I have referred my family members. He is caring, professional, and really knows dermatology. Thanks Dr. Lefkowitz. You are the best. Dr. Flashner is a true professional, thorough, patient, and skillful. I have always received excellent care. Dr. Fox treats patients very well. Dr. Friedler is very professional. I had a slight problem and Dr. Chan handled it precisely. He communicated right away and solved my issue. Thank you Dr. Chan! Dr. Kahn is always wonderful, professional, caring and kind. I have been a patient of Dr. Flashner for close to 10 years and have found her to be extremely knowledgeable and professional. I wouldn't go to anyone else. I am very happy with Dr. Kahn. Dr. Flashner is thorough, concerned, efficient and very pleasant. She is really a credit to her profession. "Saw" things that other dermatologists were too cavalier about or did not even notice. I am extremely fair, blue-eyed and unfortunately have a lot of sun damage and a history of basal cell cancer....after the examination I felt like she was highly trained and efficient. A reassuring experience for sure. Dr. Flashner is the most incredible doctor. I have literally recommended her to all family and friends. Dr. Flashner is extremely professional and listens attentively to my questions and concerns while giving me her expert advice. She's been my dermatologist for well over 4 years and I wouldn't have it any other way. Dr. Bowe is very professional and really helps you figure out what works best for you. She is very informative. Dr. Friedler is great. Been seeing her for over a year. I have been treated by Dr. Friedler for over three years now for severe acne. She knew exactly what she was dealing with. She was very honest and clear on how long I was going to be treating for. She is now treating my teenager as well. I just love her. Dr. Barazani is a true professional. A total asset to Advanced Dermatology. I had a problem and he treated it painlessly with care and understanding. Dr. Barazani is wonderful. He was concerned, caring and thorough. He made sure to follow-up with me to make sure I was following through with the tests he recommended. I would definitely recommend him. Dr. Flashner is the best! Dr. Levine is very patience and listen to every concern you have. Best doctor! Christina Smitley has fantastic bedside manner and always makes me feel at ease. Dr. Levine was so friendly and professional! Dr. Applebaum has been my doctor for over ten years. I have found him to be both professional and empathetic and have confidence in his ability to treat me. I was pressed for time during my last appointment, and the office and Dr. Applebaum were extremely accommodating. Thanks. Follow up visit excellent...maybe 10 minutes wait. Dr. Barazani is the best. Dr. Kahn is the greatest doctor I have ever seen. I wish he could be my doctor for everything. So caring and happy to help, always solves my issues. I have been coming to him for years and will continue to do so. I recommend him to everyone! Posted By: Anne Marie M.
Besides Dr. Barazani, the West Islip office has a great and caring staff. Dr. Bowe is a perfectionist, working to give the best cosmetic results possible. I trust her. Lori Friedman is simply the best. Attentive, a great listener, and very skilled in her field. Dr. Flashner is the most wonderful doctor. I have and will continue to recommend her to my family and friends. I have been seeing her for many years and I trust her 100%. I feel very lucky to have her as my dermatologist. I have recommended Dr. Joerg to a colleague and I will continue to recommend her to friends and others. She has such a lovely manner, and takes time to explain procedures and talk to her patients. She may be my favorite doctor – ever! Chris Byrne is a very professional man. The Staten Island office is very clean and the entire staff is very polite and helpful, especially Debbie. Dr. Kahn is a wonderful man, addressing all my concerns. He removed unwanted things on my face and understood immediately! I will be going to Dr. Kahn for all my skincare concerns. EDr. Applebaum was very knowledgeable and friendly. He clearly explained my condition and the procedure to correct it. Everything worked out as he advised it would. Awesome place if you need help with acne. Cured mine! Dr. Lori Friedman is amazing! I have been seeing Dr. Barazani for over a decade. We discuss what procedures he thinks would be appropriate and needed at the time. His concern is a natural look and I can attest to his talents because I get compliments often on my appearance. Dr. Kahn is the best! He’s a great dermatologist! I saw Dr. Friedler. She is the best there in treating leg veins. Dr. Kahn provided excellent care and has a great bedside manner. He performed surgery to remove a cyst from my back and the procedure went very well. I was extremely satisfied with the care Dr. Applebaum gave to me. The treatment was thorough and effective. Overall, it was a pleasant experience and his staff was very efficient and helpful also. Lori Friedman, PA, is great and informative. Dr. Fox is very knowledgeable and a kind doctor. I’ve been going to the West Islip office for years. The staff is friendly and I’ve always had a pleasant experience. Always pleased with my visits and the results. I always feel very secure and confident with the procedures done to my face. Excellent doctor. (Dr. Suzanne Friedler – Fresh Meadows, NY). Dr. Kahn has a great bedside manner and really gives time to explain what he’s doing. Excellent doctor. Dr. Applebaum is a great guy and very competent! I came in for a routine skin scan, as I am concerned with basal cell carcinoma being re-discovered. Dr. Barazani performed the scan and did some proactive treating of 2 “hot spots.” I was pleased with the results. Dr. Hassan is great! He always does an amazing job. Tatiana is awesome as well. Chris Byrne is the absolute best! I am a patient of his for 10 years now (I have atopic dermatitis). Chris is very warm and attentive. I would highly recommend him to anyone searching for a dermatologist. As usual, Dr. Flashner is the consummate professional. She is efficient, very knowledgeable in her field, respected among her peers, and always has a smile for her patients. I recommend her highly. Dr. Joerg has a fantastic manner. She takes time to answer my questions and explain things in detail. The team is also lovely. A visit to this doctor is actually a pleasant experience. Staff was great. Dr. Applebaum was excellent. Answered all my questions. And most importantly… results were excellent!! Dr. Fox is a very caring doctor. I’ve been a patient at Advanced Dermatology for over 3 years. From the front office to Dr. Flashner, my overall experience has always been excellent. I have been going to Dr. Felsenstein for many years and I have been well pleased with his service. My family members go as well. Keep up the good work, Doc! Dr. Levine was the only doctor that I have ever seen that was able to identify my issue. He kept me up to speed on the condition and acted fast to treat it! Thank you Dr. Levine for changing my life! Zena Petryshyn is awesome! I love that she is not satisfied with my skin until I am! Jie Chen is the most phenomenal practitioner I have ever had the pleasure to have. As of date, I’ve been seeing her for 5 months and our sessions are very personable, relaxed, and extremely educational. Her attitude speaks volume about how much she actively cares about her patients and is backed up by a strong diligence and passion for her work. Frankly put, I believe she is an extremely valuable asset to this company and deserves to be commended. Dr. Kahn is an exceptional doctor. You feel special in his office and he is very observant of your skin. He sees things you didn’t even know were there. A great asset to your practice! Christina Smitley and the staff are very sweet. I am going to miss Natasha and the others that are no longer there. I am a patient of Dr. Friedler for years and recently started seeing Chris Byrne. He’s great and so is she. I was pleased with Dr. Barazani’s diagnosis and treatment. Staff is pleasant. Dr. Applebaum is kind and knowledgeable. Makes you feel very comfortable. Dr. Troccoli was the third doctor I saw for a severe reaction. He was the only one who cared enough to take the extra step for a skin patch test, which helped greatly. Chris Byrne was very professional. I have been to the office several times and the staff is friendly and helpful. I never have to wait and I am seen at my appointment time. Dr. Levine is outstanding, answers any questions I have with easy-to-understand language and offers suggestions to ensure I keep things in check. Thanks for everything Dr. Levine and staff. My wife and I love Dr. Kahn. We have been going to him for a long time. Dr. Flashner is beyond amazing! I would recommend her to anyone!!! She is the most caring and intelligent doctor!! From my experience with Advanced Dermatology, I must say that Dr. Applebaum is an excellent physician, as are all of the associate physicians. My level of confidence is always 100%. I was very satisfied with my appointment and the professionalism of Christina Smitley. Dr. Morales was very thorough when I went for my annual body check. Everything was terrific! Got an appointment at fairly short notice. The receptionist was wonderful - warm, engaging – best of all, she laughed at my jokes!! Dr. Au was very efficient and not only took care of the issue I’d come about but answered several other questions as well. It was quick, painless, and effective. One of the best doctor/office experiences I’ve ever had. Dr. Joerg is pleasant and thorough with her questions and answers. Her mole check was notably more thorough than my last provider. I have nothing but good things to say about Dr. Applebaum and the staff here at Advanced Dermatology. He and the staff are both courteous and friendly. Dr. Applebaum took the time to listen to my concerns and skin problems. I am very nervous going into the office with my conditions, not knowing what I was going to be told. Daisy, the office manager, was VERY polite and welcoming. She had on a great smile with whomever she spoke with and was persistent on fixing the problem with my insurance. She brought me to the exam room and thoroughly went over all of my issues to prep me for Christina Smitley. Christina was WONDERFUL. She made me feel comfortable and relaxed. I could tell she had my best interest at heart and she reassured me that if one thing doesn’t work, we will try another. She also gave me lots of tips and advice on the things I can do to help improve my condition that the many dermatologists I have seen never told me. I left the office with relief and a smile. This will be my permanent office as I will continue to come here for any dermatology issues!! Thank you so much Daisy and Christina!! Dr. Applebaum solved my problem quickly. Dr. Fried is a great doctor and is very caring and knowledgeable. Dr. Whitney Bowe is kind, intelligent, and inspiring – I wish I met her 10 years ago! The Upper East Side office has a fantastic staff. They are very accommodating, since I travel from Boston to see Dr. Bowe. Ms. Wong was both relaxing and thorough. She’s a real gem. Dr. Suzanne Friedler has been my doctor for over 10 years. She is the best! She knows what she’s talking about! Every one of the staff is so pleasant. Dr. Kahn is a very gentle and caring doctor. Dr. Chen and your office are very nice. Dr. Zena Petryshyn is so patient and has an empathetic attitude for her patients. 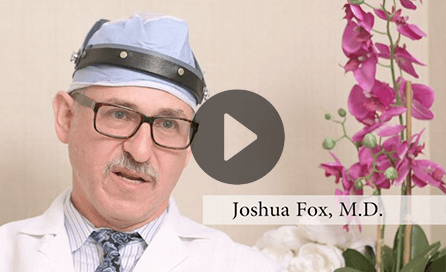 Not knowing what to expect and apprehensive with surgery, Dr. Aza Lefkowitz explained the procedure and what to expect. He did a great job and I would recommend the good doctor 100%! Dr. Flashner was professional, warm, and helpful. Dr. Barazani diagnosed and cleared up my problem quickly, with no visible scarring. Very happy with the treatment and results. Pleasant and accommodating office staff. Very professional. Dr. Bowe always listens and answers questions. She explains what she is doing. You never feel rushed. I am pleased to be treated so kindly by Dr. Flashner and her staff. They are the best! Dr. Chan was very thorough and informative. Dr. Bowe is so accommodating and very easy to understand. Dr. Applebaum is a wonderful, caring doctor. I have recommended him to friends and family. I was pleased to meet Ms. Smitley and her competent assistant today. They were both friendly and professional. I am hopeful that what they did today ultimately results in a satisfactory remedy to my situation. I’ve been to approximately 5 or 6 different dermatologists over a period of time and Dr. Levine is the only doctor who has been able to treat and eliminate the severe cystic acne that I have been dealing with for numerous years. As far as I’m concerned, Dr. Levine is God sent and I’m extremely happy with my results. Dr. Chan is very attentive and very down to earth. He made me feel very comfortable with him. Zena Petryshyn is professional and got the job done. The Advanced Dermatology staff is extremely friendly and caring. They will stop at nothing to ensure that I get the best treatment possible while at the same time, being sensitive to my needs. Dr. Applebaum is an amazing dermatologist. He always told me the different treatment options for my skin conditions and helped pick the best treatment plan for my needs. Highly recommend him and all of the superb staff here at Advanced Dermatology!! Dr. Kraft was excellent. His assistant was just wonderful and very caring. She is a true asset to the practice. Dr. Fried is excellent. I would always see him. Melissa Sanoff-Weiner is by far the greatest doctor I have ever been seen by. No matter what I come in for, Dr. Barazani always cures the problem and answers all of my concerns. He is amazing and all the girls are always so pleasant. I found that Dr. Levine and the nurses were extremely friendly, knowledgeable, and I would go back there at any time and recommend it to anybody. I can’t speak highly enough of Dr. Kahn. He is an excellent diagnostician and a true professional. Dr. Lefkowitz is one of the most professional and thorough doctors I have encountered. He was sensitive to my situation, explained each procedure, and was kind and concerned until I left his office. Dr. Flashner is professional, courteous, and definitely will continue to be our family dermatologist. Thank you. Dr. Barazani is amazing, honest, and kind, and so are the ladies that work for him. They are all so warm and welcoming. Whatever my issue may be, Dr. Barazani addresses it and resolves it immediately. I highly recommend him to anyone who is looking for a knowledgeable and caring doctor. Very warm staff. They are all really connected and comfortable with each other and created a very mellow atmosphere. The PA was extremely professional and friendly. Overall, my first visit in itself was very easy and I feel very confident coming back as a patient, given the type of service I was met with. I came to have a spot checked out which was concerning to me. Melissa Sanoff-Weiner, PA, reassured me that everything was ok.
Dr. Chan was amazing from my very first visit. I have been a patient of Kahn Dermatology for a few years and until I saw Dr. Chan, no one ever mentioned that I had rosacea and was misdiagnosed and treated for adult acne. My previous medications were not working and no other means of correcting were suggested. I saw Dr. Chan for the first time in April 2017, at which time he had mentioned rosacea and treated me for the past 12 weeks. I am extremely happy to report that it is under control and I do not need to see him for another 6 months, unless I have a flare up. Dr. Smitley is very patient, friendly, and very helpful. She explains everything to you clearly. Dr. Wong is always pleasant and was the only doctor to successfully rid me of adult acne, even after being on Accutane years ago! The entire staff is great, but one stands out. Wendy is a gem, always willing to go the extra mile. Dr. Flashner is the most thorough, caring, and knowledgeable dermatologist I have ever seen. Would and have recommended her to all I know. The visit was on time and Dr. Barazani is excellent. Dr. Valerie Goldburt is an excellent dermatologist! Jerome Felsenstein is a phenomenal doctor. My family has gone to him for many years. Wow, another great visit! The entire office staff is very friendly, very professional, and extremely caring and considerate of my every need. I truly look forward to every visit. Great office. Thank you and God bless you ALL!! Dr. Bowe and her staff Jenn and Danielle are so friendly and helpful. Jie Chen is very good and caring. She knows how to get the job done. Dr. Kahn is the best dermatologist ever. Dr. Friedler is just WONDERFUL!! I already recommended Dr. Wong to a friend and she is very pleased also. I have been seeing Dr. Applebaum for all of my skin needs. I just had my skin cancer check-up and will continue to use Dr. Applebaum in the near future. Dr. Morales was thorough and pleasant. He explained every step. All of the staff at West Islip, N.Y. office are fantastic! Kind! Courteous! Professional! The level of care and attention I’ve received: SECOND TO NONE! Thank you Dr. Barazani and staff! Dr. Friedler is really nice and thorough. She addresses all questions and concerns!! Dr. DiSpaltro is an excellent physician. My sister and I are patients of Dr. Kahn for years and are very happy with the treatment we get by everyone at the office. Christina and the staff are wonderful! Never have to wait long and answers all of your questions. I have many health concerns with connective tissue and didn't know if I was a candidate for Restylane, but I needed a lift after all I've been through. Dr. Bowe was conservative at first, then saw how well I tolerated it, and gave me more shots after a month. The following week, I put on makeup and went out that evening. My friends didn't know I had the shots, and said I looked terrific! I know it's expensive, but worth it in the end. Very reassuring about surgical procedures. Friendly and helpful about what to expect. I am a patient of this group for several years and I always receive courteous attention to my needs. I recommend it without reserves. I felt that I had come to the right place. Dr. Applebaum is very competent and compassionate. I received Botox from Dr. Barazani and it was my first time so I was somewhat nervous. He was great; it was quick, painless, and the results were amazing! Dr. Barazani and the staff are awesome and have professionally administered to my skin needs for many years. Dr. Felsenstein is a great dermatologist. He’s knowledgeable, listens to his patients, and doesn’t push useless products or procedures. The staff is very professional and one in particular is such a wonderful, sweet, caring assistant. Her name is Brittany. Dr. Applebaum, while our visit is short in length, always wears a smile and greets you with a handshake and “how are you doing?” I really appreciate the respect given to me each time I come there and the care I have received thus far. God bless them all. I had a great first time experience at the office in Amityville. The doctor was very patient with me and answered my questions and concerns. Ms. Wong took me on time and was very enthusiastic treating me. Dr. Troccoli took over my old doctor’s practice and I’ve been very satisfied with him. The waiting seemed a little long. Dr. Barazani and staff were very professional, courteous, and careful. I knew I was in good hands. Dr. Goldburt is great and the office is very nice. Dr. Barazani has always been professional and great with his patients. I have referred many patients to him and will continue to do so. All personnel are very pleasant. Dr. Applebaum is extremely knowledgeable and is very pleasant to talk to. Dr. Joerg is the best. She is professional and has excellent people skills. She explains procedures and listens to any concerns. Dr. Joerg has excellent staff. Both the nurse and office manager are the best. They took excellent care of me and are knowledgeable and professional. Great service. No issues what so ever with the office or people. Christina Smitley is helpful and kind. She takes care of her patients. The atmosphere is very comfortable. You know you might walk in with a problem but will leave with a solution. Dr. Applebaum was excellent! He took the time to discuss my condition with me and was very helpful and clear! Melissa Sanoff-Weiner made me feel very relaxed. She is a very friendly person. I have been seeing Dr. DiSpaltro for quite a while now for my psoriasis on my hands and feet. With the medication and light therapy I was given, my hands have cleared and my feet are doing better. Christina Smitley is very personable, professional, and knowledgeable. She put me at ease and has a great personality. Jie Chen is a great representation of the practice. Dr. Fox is very kind, caring, and knowledgeable. I truly enjoy the service here!!! Thank you. Melissa Sanoff-Weiner was wonderful with my daughter. How could you not love some place that makes you look younger! Dr. Barazani assesses my skin and evaluates to see if and how much filler I need for that visit. I trust his aesthetic view and opinion. I get compliments on my skin and youthful look, while looking natural… and not overdone. Thanks Dr. B! Dr. Chan is awesome! Great bedside manner and always willing to listen. Keep up the great work Doc! Always a please, from the first call for appointment to check out, the staff is always lovely, caring, warm, and professional. Dr. Levine is warm and caring. He is complete in explanations of your questions. He makes you feel at ease and he plans procedures with you for your comfort. I leave so well prepared that I don’t worry about a future visit because I am told what to expect down to future skin care. I am so pleased with the quality of care I received from Jie Chen at Advanced Dermatology in East Setauket. I found Jie Chen to be extremely professional, thorough, and an exceptional medical practitioner in her firled of endeavor, dermatology. Josh Fox is truly great. The office staff and Dr. Levine are always a please to deal with. Always on schedule, within 10 minutes of appointment. Dr. Levine always listens to my concerns. Happy after all visits. Everyone is extremely helpful. Waiting time is short. Ms. Petryshyn makes the full body scan very comfortable. Dr. Applebaum is an outstanding physician. His assistants and office staff are very competent. I’ve never waited more than a couple minutes. Dr. Jen Wong is always pleasant and makes me feel very comfortable each time I see her. She's very knowledgeable in her field and I don't doubt her treatments at all. Dr. Au is very professional and at the same time so nice and approachable. I love how she treats me as a patient and her honesty regarding all the procedures! Ext5remely professional, excellent care, and I am extremely happy with this practice. I have gone to many dermatologists in the past 25 years and finally my search is over. Dr. Joerg is top of the line. She’s thorough and cares for her patients. Jie Chen was very good and aggressive in her treatment. I have been crazy busy, but can’t wait to continue the treatments. I found Dr. Levine to be caring and interested in my dermatological problems. Dr. Applebaum is a “Dr’s Doctor! Clearly one of the best with regard to patient interaction, knowledge, care and professionalism. My visit to Advanced Dermatology was very good. I was not kept waiting, the staff was friendly and efficient, and Dr. Levine was professional, competent, and friendly. The staff is great!! Everyone is so nice and they make you feel right at home!! Chris Byrne is so attentive and patient and caring. Dr. Bowe and her staff are warm and helpful. It’s evident that she takes much consideration as to which treatments are appropriate for us. Looking forward for my spring visit. As a first timer, I was surprised staff, Chris was very welcoming. Would highly recommend this place. In all the years visiting a dermatologist, Dr. Chan was the first physician to give me a complete examination from head to toe. He is patient friendly and I highly recommend him. Dr. Joerg is fabulous! She understood exactly what I needed and wanted regarding cosmetic fillers and approached the entire process as a true artist. I will be using Dr. Joerg as needed in the future. Dr. Fox is so friendly and he really knows what he is doing. Always giving the right medication and right answers too. Had an excellent experience with CoolMini and my chin and Dr. Bowe’s recommendation for daily face creams has made my skin look so much better!!! Had an issue, got an appointment in 2 days and one look I received a diagnosis which was much better than I thought. The problem is now solved. I have been a patient of Dr. Flashner’s for over 15 years! Amazing doctor. Christina is so personable, and I’m touched she remembers personal details about me, even when we only see each other once a month. I appreciate the fact that the office never overbooks, the only time I’ve ever had to wait for more than ten minutes to be seen was because of an emergency situation. Jennifer Wong was awesome and gentle! She takes a real hands-on approach and is very personable. Had a great experience there and so did my son, Chris Byrne treated both of us. Great doctors, PA’s and staff. Convenient location and appointment availability. Thank you! The office is very neat and clean. The receptionists are all very nice and thoughtful. Dr. Flashner is very knowledgeable and a wonderful caring doctor. I’ve had laser hair removal before, after talking with Dr. Chan I decided to have an appointment for MiraDry. I was very nervous about getting the injections, he did a great job, I didn’t feel the shots at all. The ladies in this office are always pleasant and inviting. The service I receive is top notch. My appointments never feel rushed. I always receive a reminder whether via phone call or text. It’s truly a lovely place. I love Zena Petryshyn. She is wonderful!! My daughter’s acne is almost gone. I thought Dr. Silver was very nice and professional. Staff was nice as well. I already recommended Dr. Levine to my boyfriend and he scheduled an appointment. I appreciate having him as my doctor. He’s such a gentle person. Dr. Au’s prescription has helped clear up my skin condition. Dr. Barazani is not just knowledgeable, he is also very empathetic. I am extremely happy in the office. Angie has also been extremely helpful. Both my husband Joseph and I have used Jayme’s services and were very satisfied. This office is heads above the other dermatologist I was using. Months and months of no answers. Dr. B got it first try! Christina Smitley was great with my daughter. We came in for a rash on her face, she prescribed her medication and gave us samples. In a week the rash was gone. I will recommend anyone to see her. Dr. Applebaum is awesome. He’s very kind and very attentive and satisfies the patient’s needs. It was easy to and quick to get an appointment, you do have to wait a little, but the customer service and staff are very nice and helpful and very professional. The residents, attending and nursing staff are very nice. Dr. Silver is a good doctor – very easy going and professional – has years of experience and puts you at ease. It’s always nice to be warmly greeted with a smiling face and pleasant conversation by those at your front desk. The same can be said about Dr. Applebaum who is always attentive and eagerly answers one’s questions. Nice! I have been a patient of Dr. Hu’s for many years and through several relocations. I am willing to travel to see her – she is that good in my opinion. Her manner and approach are perfect, and her work is far superior to any other dermatologist that I have seen. She is the only dermatologist I will see for fillers and cosmetic procedures! I can’t say enough good things about Dr. Hu and how happy I am to have found her! After seeing numerous dermatologists for the problem I am having, I finally found one that is truly helping me even if it is just listening to what is going on. Dr. Lieb has great bedside manner and is knowledgeable about rare conditions. I feel like I got a thorough full body exam. I didn’t feel like the doctor was in a hurry. At nearly 80 I’m the oldest of 5 siblings. One died of skin cancer, all of the others have had several skin cancer procedures. Naturally I was concerned. I have been seeing Dr. Farkas for many years and she is a wonderful and caring physician. Her dedication to her patients is phenomenal and she truly listens to all concerns. I moved out of the area yet still return for my annual body scan (Driving 1 ½ hours each way) Dr. Farkas is an extremely professional and knowledgeable physician as well as personable and easy-going. Dr. Lieb was extremely nice and listened to everything that I said and in the end told me that she would figure out what my problem is and help me get it under control because at this point it has taken over my life. I have seen 6 doctors before her none of which could help me. Dr. Goldburt is very thorough and has a pleasing manner. I loved the fact that Dr. Flashner actually takes the time to listen to my problem. And I’m starting to see some results. We really like Jie Chen. She is efficient, very personable, and knows her job well. Posted By: Andrew and Adam B.
I’ve been a patient here since I was 7. At that time I saw Dr. Fox. My pediatrician at the time could not figure out what my problem was, but one look and Dr. Fox diagnosed me correctly. Now several years later I had more of a cosmetic issue. I saw Chris Byrne and the same thing, one look and he knew what my problem was and how to fix it. I literally spent all of 15 minutes from the time I walked in and filled out paper work to the time I got back in my car. I would come back for any little problem and I would recommend this office to everyone! I’ve been going to Dr. Bowe for a couple of years and she is always helpful, caring and thorough. Dr. Joerg is very professional and is very thorough – which generates a good sense of confidence!! Further, Cynthia, medical assistant, is very good – and has an excellent positive attitude! Jennifer Wong is amazing and always greets me with a smile. She cleared up my skin in no time and gave me self-confidence again. Dr. Joerg is fantastic, smart, kind, great bedside manner as is her medical assistant. I have already sent one colleague her way and am always happy to recommend her to others. I have been a patient with Advanced Dermatology for over 30 years and I’ve always been very satisfied with my treatments. Dr. Silver was great. Numbing my arm was painless and his incision was perfect. He is very professional and neat in his work. My experience at Advanced Dermatology from the onset has been wonderful. The receptionist are extremely professional, courteous and accommodating. I was fortunate to have Dr. Suzanne Friedler to deal with a few issues & concerns of mine & she address each & everyone. Dr. Friedler I find to be extremely knowledgeable, caring. I would highly recommend Advanced Dermatology to anyone needing the services that they provide. The intelligent approach to solving a difficult condition makes me extremely satisfied with my association with Advanced Dermatology. NP Christina Smitley is amazing!! She really interacts well with her patients. She is very friendly and professional. I would highly recommend her. Jie was very friendly and professional and made me feel very comfortable. I highly recommend her. My 2 visits went extremely well. I was very pleased with my results. Dr. Levine is very nice and efficient! I’ve told several friends about him and Advanced Dermatology. THE BEST! Dr. Barazani is unbelievably talented! Answers all questions, tremendous patience and highly skilled A++. Rated as one of the TOP 100 NY Dermatologist. We love Dr. Lieb. She has a wonderful personality and is patient and caring. I was comfortable in the care of Drs. Dispaltro and Lefkowtiz and their staff. She is incredible. Positive, warm honest and caring. (Dr. Suzanne Friedler). Always very satisfied with the care we receive and with Dr. Friedler’s cheerful disposition. Dr. Lefkowitz called me to ask how I was recuperating. Amazing!! Dr. Silver is a wonderful doctor and I am very pleased that I am under his competent care. Dr. Au was very professional and treated my son with great care. It was a pleasure and I would most definitely recommend her. Dr. Barazani was quite thorough, informative and friendly. I had a few spots that I was concerned about and I was quickly put at ease by Dr. Barazani. He was able to provide immediate treatment with zero pain. Dr. Valerie Goldburt is the best doctor I have ever gone to. She is so caring and thorough. Thank you Dr. Goldburt for everything. Dr. Lieb is just a pure genius! I don’t know what I would have done without her expertise and kindness. She was, and continues to be patient and caring. The quality of my life has greatly improved because of her care. Dr. Bowe is so caring and professional. It’s hard these days to find a doctor that goes out of their way. Dr. Bowe took the time to call me a few times, and also had her staff follow up with me after a reaction to a procedure I had done. Dr. Hu is very thorough and takes time with patients. I would recommend her to family and friends. Dr. Lieb is the best! I drive from Pennsylvania to treat with her in Ridgewood, NJ. I like her ability to help me maintain a youthful appearance while not looking FAKE. She knows exactly how much and where to perform her magic. Been driving to her over 2 years since I moved from Upper Saddle River, NJ and recommended my brother in law to her for eye work. Dr. Lieb has treated my whole family and is consistently caring and the results for acne and psoriasis have been excellent. I have been seeing Dr. Joerg for some years, and I am extremely please with the services I received. Her staff is very professional and friendly. Dr. Levine asks questions and listening to my questions. Took his time to make sure I felt comfortable with treatment. Would recommend Dr. Levine to all. My father, my son and I love Dr. Fox. His work is excellent. Love the receptionist who checked me in and the overall energy of the office. The doctor was great and the visit was straight to the point and with solutions, plus samples. (Chris Byrne RPA-C and the staff in Fresh Meadows - Queens). Dr. Goldburt is knowledgeable, pleasant, and responsive to patient’s questions and sees patients in a timely manner. Everyone at the West Islip office is wonderful. Very caring and supportive of everyone’s personal needs. Jie Chen is the best!!!! Wish she was my primary doctor. Dr. Hu is great – Very professional but friendly and only does what is necessary to protect my skin. I have recommended her to others. I was in and out in a short time, staff was pleasant and Dr. Hu was super personable. Good experience. I would definitely recommend this practice. Dr. Silver always treats me in a through and professional manner always being concerned. He always answers my questions. Dr. Barry Silver was thorough and made me feel comfortable with my skin concerns without having to literally gouge me for tests. I was nervous to have a male dermatologist for my whole body skin cancer check, especially because I just had a baby and I wasn’t comfortable with my body but Dr. Levine made me feel really comfortable and congratulated me on my daughter, adding that he has 2 of his own. I will be back for my 6 month check. Dr. Goldburt is very sweet and excellent. Dr. Fox did an amazing job. I love the results of pixel fractional CO2 laser. My skin looks 10 years younger already 3 weeks post procedure. Love the tightening effect of the laser. New youthful texture and great improvement in wrinkles and acne scars. Love the way Dr. Fox used the laser to refine and enlarge my lips. I feel more confident and look amazing. The staff from the doctor to the nurses to the office staff were very caring and couldn’t do enough for me. Dr. Bowe is terrific, giving suggestions to maintain a natural more youthful look to boost confidence! Each person I was in contact with was very professional, kind and helpful! Dr. Valerie Goldburt is the most wonderful doctor I have met in many years!!!! Since 1986, Advanced Dermatology, P.C. and the Center for Laser & Cosmetic Surgery has been offering a wide array of medical, cosmetic, laser and plastic surgery services. In addition to specializing in all areas of adult and pediatric dermatology, many of our dermatologists have subspecialty training in their area of expertise. Our facilities provide personalized, conservative, effective and less painful treatments for a variety of skin conditions. Our board-certified physicians are collectively fellows of the American Academy of Dermatology, American Society for Laser Medicine and Surgery, American Contact Dermatitis Society, and many other societies and serve as official spokespeople for The American Academy of Dermatology and The American Society for Dermatologic Surgery. With our special expertise and the unusually broad range of services provided at our state-of-the-art offices, we have been featured in many local and national newspapers and magazines as well as radio and television news programs. We have many convenient locations throughout New York and New Jersey. We continue to improve our procedures and services with the most up-to-date advanced instruments and techniques that the dermatological field offers. If you need further information on our procedures or services, or would like to speak to one of our dermatologists or office managers, please do not hesitate to contact us. Dermatology is one of the most dynamic fields in medicine today. Year after year, the new mechanisms of skin diseases become known. Treatment of many common diseases that affect our skin, hair, or nails has become possible. Acne Scarring - The use of Fraxel, Erbium, and C02 lasers make it possible to fully restore scarred areas and make the skin silky. Fat Reduction - We use new devices such as CoolSculpting to get rid of excess fat. CoolSculpting is an FDA-approved non-surgical options for those who want to undergo body contouring. Facial Vein Treatments - Laser coagulates blood vessels and then body reabsorbs them during the natural recovery process. Laser Hair Removal - This noninvasive procedure uses low energy pulses of light helps to permanently get rid of unwanted hair on all parts of your body. Tattoo Removal - Professional and amateur tattoos can be removed by laser utilizing various Q-switched lasers, Ruby 694, Nd: YAG 53, 1064, Versapulse, Alexandrite and other lasers. We offer other laser procedures for broken vessels and vein treatments, cellulite treatments, laser skin resurfacing, laser spider vein therapy and more. 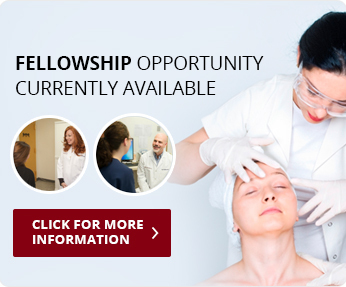 Advanced Dermatology, P.C. is proud to stay on the cutting-edge of advances in cosmetic dermatology, including treatments for cellulite and fat reduction. Cellfina is a new treatment that reduces cellulite long-term by targeting the structural cause of cellulite. We now offer treatments for double chin including CoolSculpting and Kybella. We also have specialists trained on a new vaginal rejuvenation procedure called ThermiVa. The main goal of aesthetic plastic surgery is improvement in the patient's appearance. Indications for plastic surgery performance are purely individual. Are you a suitable candidate for this type of surgery? To determine the indications and contraindications for the surgery, you should have a consultation with a surgeon who has had many years of plastic surgery experience. Our board-certified plastic surgeons perform many plastic surgery procedures to help improve different areas of the body. Our most popular treatments include liposuction, tummy tuck, breast augmentation, breast lift, eyelid surgery, rhinoplasty, wrinkle reduction, and more. On our site you will find detailed descriptions of the plastic surgery procedures you are interested in. Advanced Dermatology P.C. and the Center for Laser and Cosmetic Surgery's activity in the field of skin cancer research, diagnosis and treatment is unparalleled. An exclusive treatment program is directly created for each patient. The practice's success in treatment of the most common types of skin cancer such as basal cell carcinoma, squamous cell carcinoma, and melanoma is the result of many years' experience and cooperation with world's leading medical institutions specialized in skin cancer treatment and prevention. At Advanced Dermatology, P.C. we offer many treatments for skin cancer. We have experienced, board-certified, fellowship-trained Mohs micrographic surgeons whose work is meticulous with exceptional cure rates and minimal scarring. Both men and women strive to have healthy, youthful looking skin. Our non-invasive procedures including facials and peels are designed to favour cell growth and help your skin become smoother and clearer. Facials should be an integral part of a healthy skin care regimen. They may include skin purification, its analysis, masks, peels, toning, exfoliation, and massaging. Each option is based on your skin type and condition. Our aesthetician specialists provide various skin rejuvenation treatments known as peels. Each patient receives a comprehensive examination to determine which peel program is suitable for his or her individual skin. This type of skin treatment is very effective, almost painless, and quick. The recovery takes a very short time and the results are outstanding - you get healthy, perfect skin. Advanced Dermatology P.C. and the Center for Laser and Cosmetic Surgery provides the accurate diagnosis and effective treatment of all skin, hair and nail diseases. Our practice communicates with other leading American and world dermatology centers, and we try to use only the newest and the best techniques and equipment. At Advanced Dermatology, P.C. everything is done for your health and we are always ready to help you. If you are looking for a dermatologist in New York or New Jersey, we invite you review the information on our website. Our team of dermatologists at Advanced Dermatology P.C. has offices through New York including Long Island, Queens, Brooklyn, Manhattan, Staten Island, and Westchester, and in New Jersey in Ridgewood and Summit.